Sorry, I’m already getting sick of seeing that line everywhere too, but it had to be done! I am a huge Christmas enthusiast. It is my absolute favourite time of the year. My sister’s birthday is at the end of November so as soon as that’s over I am all about Christmas. This year Dan is working away in Plymouth from the end of November until February and although he will be back for two weeks over christmas (and hopefully a bit in between!) with a job like his nothing is set in stone so in case he can’t come back for a few weeks we decorated the house for Christmas at the end of November! I know that would annoy some people but I love having the house looking festive and decorating without him or possibly having to wait til 22nd December to decorate was just too sad! Normally we have the tree downstairs, but we have recently stopped crate training Opie. So far he has been so good when we’ve left them for a couple hours and we didn’t want to jeopardize his progress by introducing something new into the room. 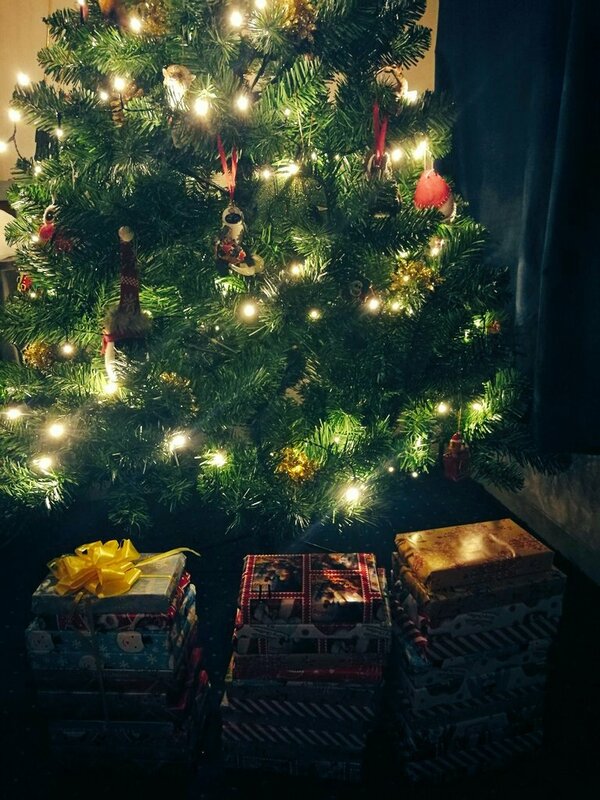 Instead our tree is upstairs which I must admit is a little bit sad but it does mean we can have our presents under the tree for once! 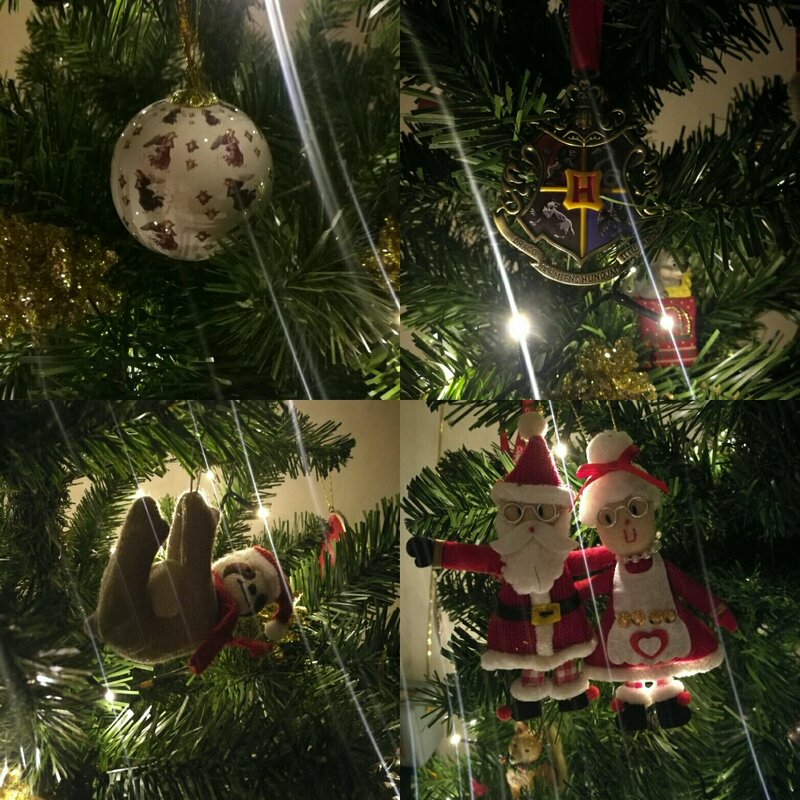 I love our tree, its a mix of decorations we have picked together and decorations my grandparents had on their tree when I was younger. We buy some new decorations each year and I’m sure some more will be added this year. 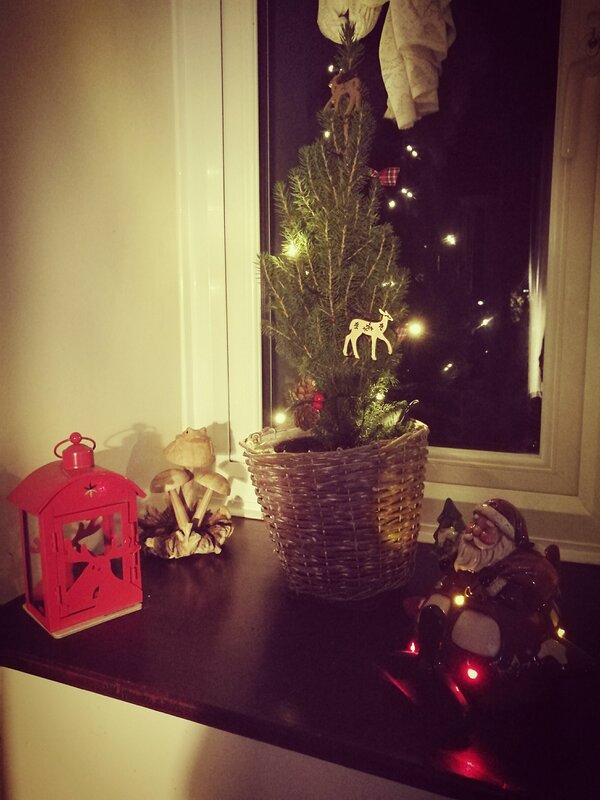 To make our lounge look a little more festive we bought a little potted Christmas tree from Tesco for just £8, to put in our window with our Santa in a plane and tea light lantern. 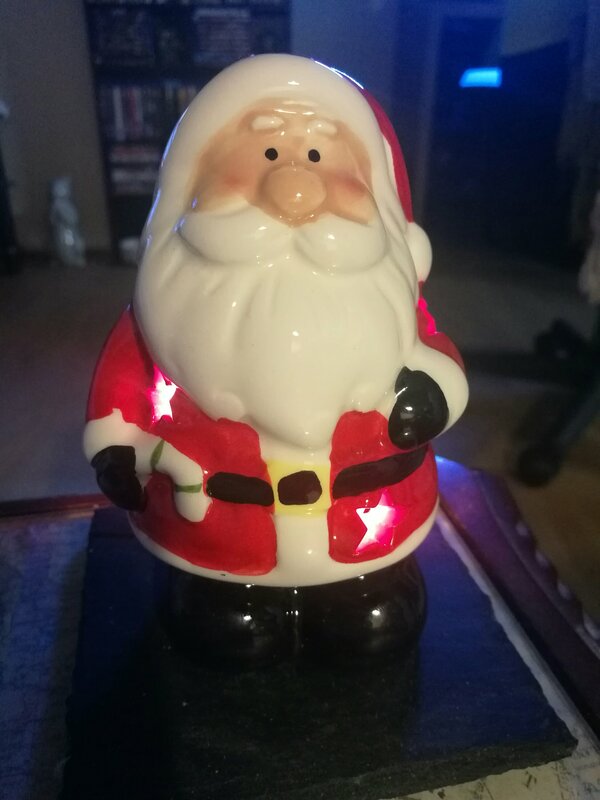 This year we also bought adorable Santa tea light holders from Tiger, just £2 each! I also found AMAZING gingerbread scented candles from Home Bargains for just £1.99! We’ve been buying Wickford and Co candles from there for a while and the scents aren’t always that noticeable but this one is sooo good! I’ve loved seeing everyone’s decorations and all the Christmas window displays on the high street near my work!